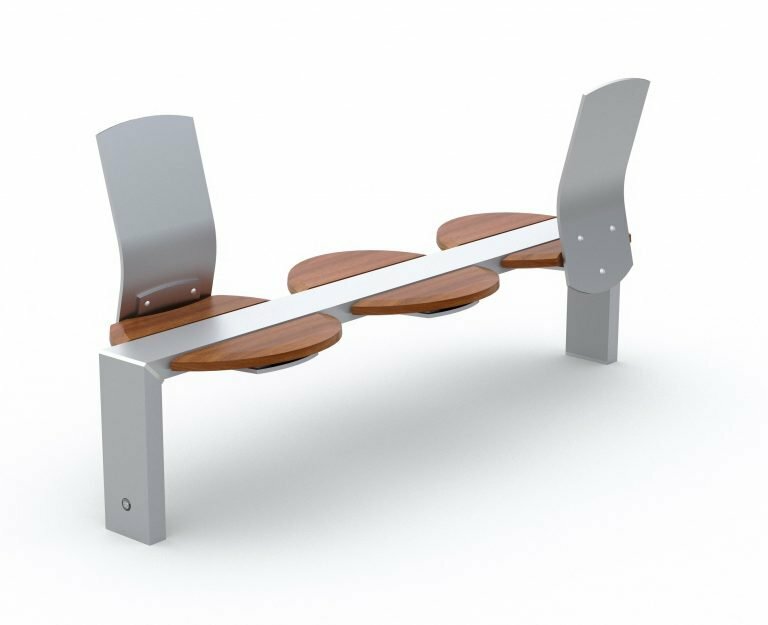 'URBAN EDGE' street furniture and park furniture - 'Modular' Bench Seat with Two Opposite Facing Backrests. Aluminium frame and backrests - clear anodised finish. The opportunity exists to apply custom graphics or artworks to either side of the backrests. The design is reverse printed onto AVERY MPI 1005 Supercast series vinyl wrap, with AVERY DOL 4300 Anti Graffiti polyester overlaminate.